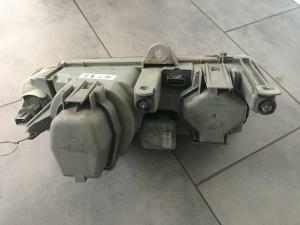 Hi All, I need a nearside headlamp for my 97 Phase 1 145 - the height adjuster has gone on mine and it’s failed the MoT. Let me know if you have a fully working unit I can just drop in - retest is booked for Friday week (13 July) so getting urgent. 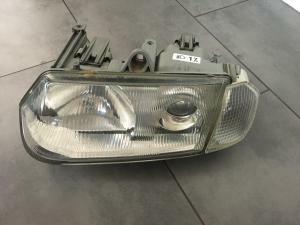 Phase 1 headlights have a different part number to Phase 2. My car is a Phase 1 with part number 60628722. 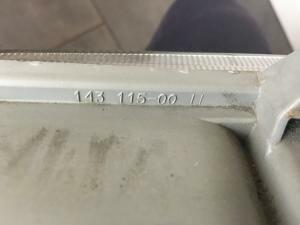 However, I can't locate this part number on the headlamp unit - all I can see is a Wella part number 143-115-00 LI on the top edge as per the top pic below. Front and rear views also shown. ... and obviously, I need a headlamp from a RHD car. Alfa part number at least in my case was on sticker on headlight. Of course in most cases it's long gone. Also you should be able to use LHD headlight - just to have proper light beam you have to swap dip beam projector lense unit.